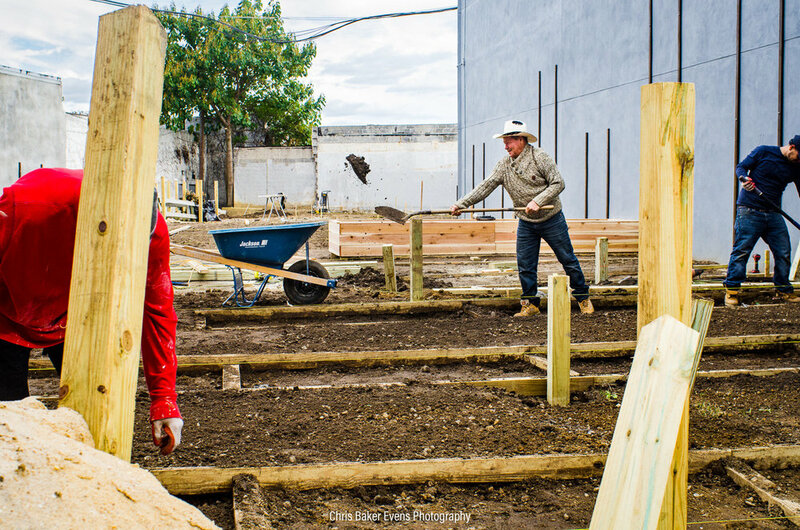 Frankford Pause is the name of the part art environment, part pocket park that has been developed in a former vacant lot in the heart of the Frankford neighborhood of Philadelphia. Located at a pivotal intersection between the commercial corridor and residential neighborhood, it also lies adjacent to the main transportation hub for the community. 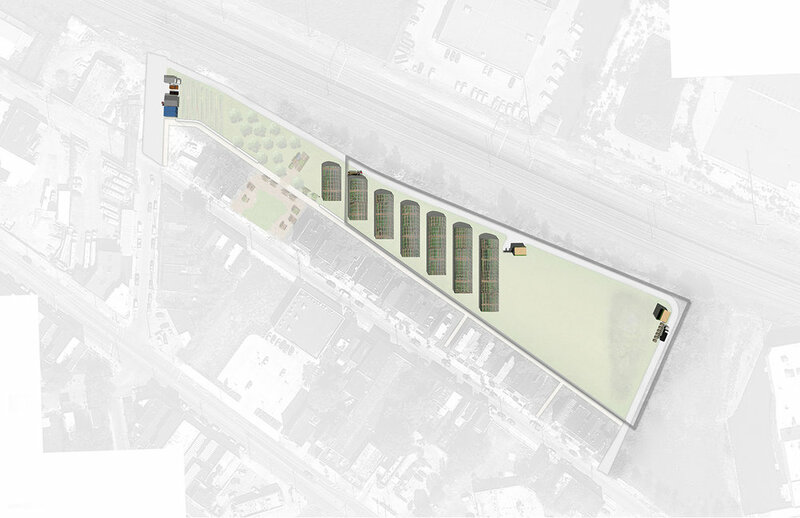 This multi-phased project, under the leadership of Frankford Community Development Corporation (FCDC), is intended to serve as the premier outdoor event venue and community hub. The pilot phase, designed by Hinge Collective, was completed in early 2018. 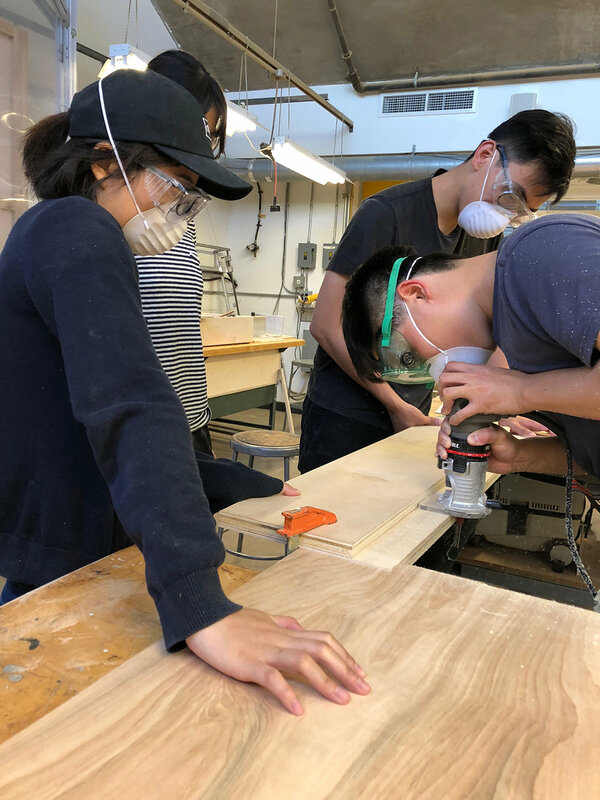 It has been a phased tool for Hinge and FCDC to leverage the involvement of the community to test out ideas of incremental placemaking, event programming, community engagement opportunities, and co-creation and building experimentation with youth. The past year has seen increased community involvement and ownership along with improved perceptions of the neighborhood among those visiting the park for planned events or individual recreation. Design of the final build-out of the park has been informed by the rigorous and in-depth post occupancy evaluation completed by Hinge over the spring/summer of 2018. Construction is scheduled to begin in 2019. 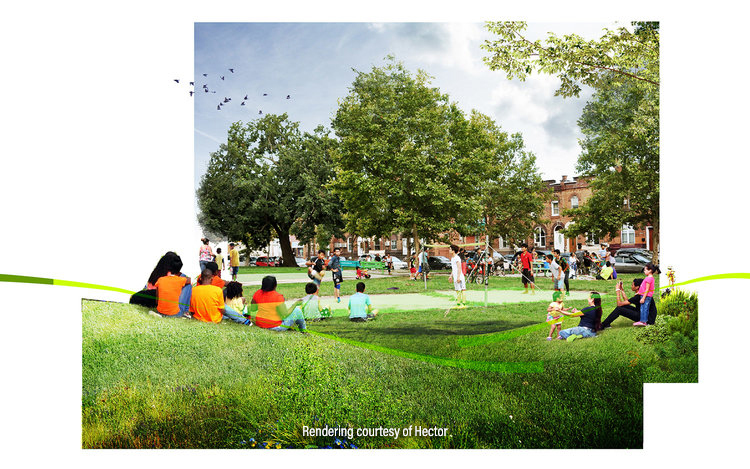 The Mifflin Square Park and Neighborhood Plan was developed to improve the park and surrounding neighborhood while ensuring that current residents have a say in the neighborhood’s development and benefit from it. The design team, consisting of Hector Design and Hinge Collective, set out to build community power and prosperity by working with a broad resident coalition, strengthening business and shopping, and preserving affordable housing. Through a series of multiple touch points with various community groups and organization including 21 languages, the design team worked with residents to build models, draw plans, organize events, and gather data about what the eventual design should be. The project, still underway, will result in a series of documents outlining the engagement efforts that were performed and conceptual designs for future implementation. 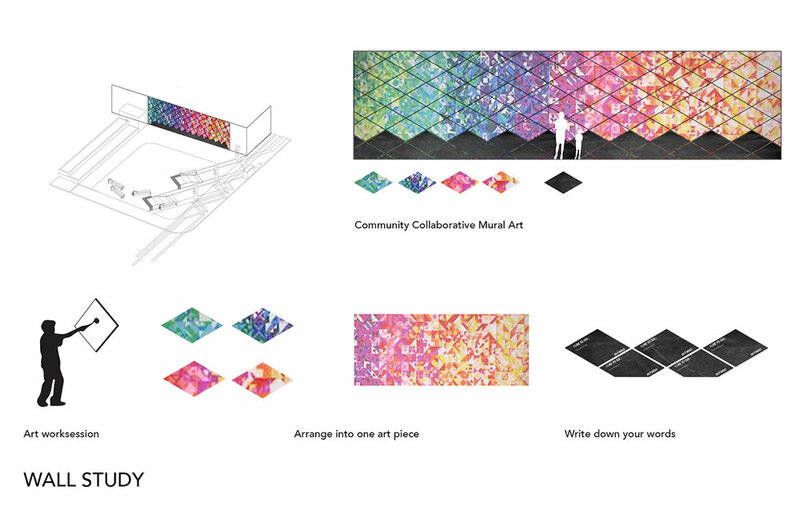 Urban Action is an initiative that pairs community organizations with graduate level students at the University of Pennsylvania, School of Design, to develop thoughtful, community-informed designs for public open spaces that support stronger social structure. 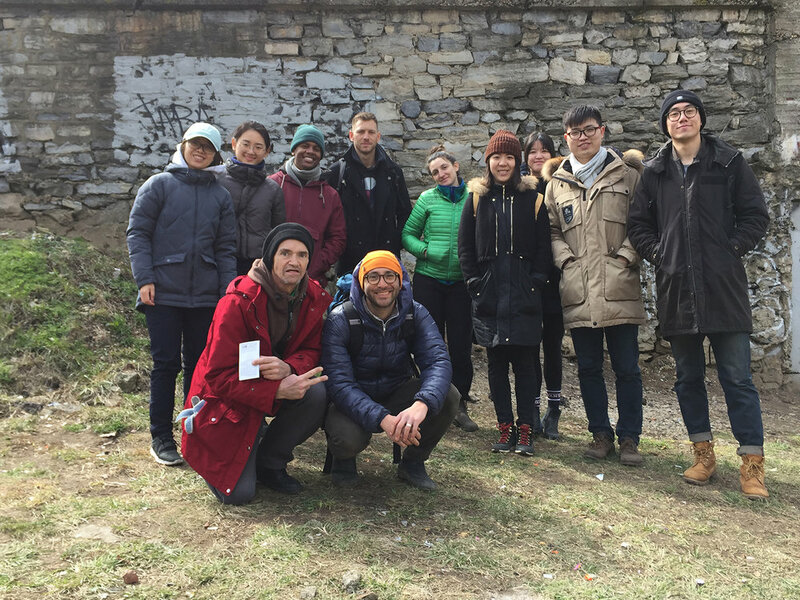 Hinge founders, Alexa Bosse and Ari Miller, along with Michael Miller (OLIN) lead an interdisciplinary group of students to develop a community informed design of a park in the Kensington Neighborhood of Philadelphia in the spring semester of 2018. This neighborhood was selected as the focus of the 2018 studio because here, vacancy has been a prominent source of trauma and a venue for criminal activity. The site, at the intersection of Kensington Avenue and Somerset Street, is well-known as the location of the largest opioid market in the city; some say even the entire East Coast. 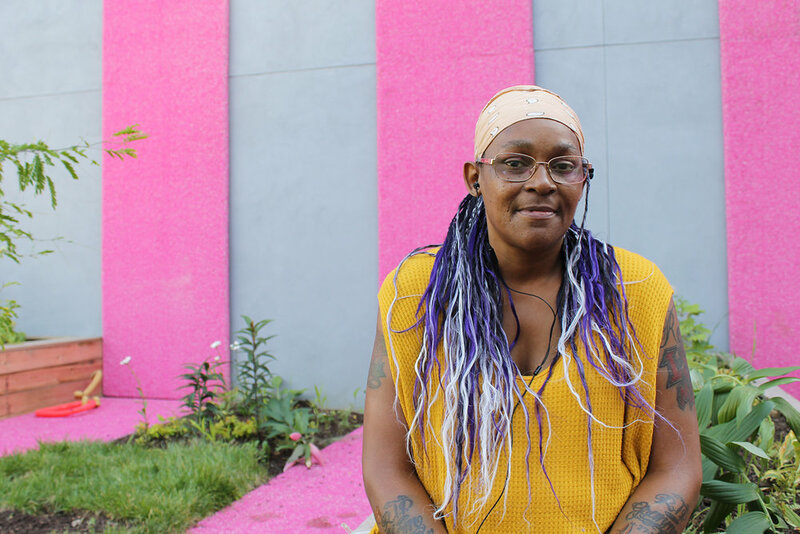 Despite these challenges, Kensington is supported by a resilient and well-organized community as well as entrenched service providers like the New Kensington Community Development Corporation, that have been working to support this neighborhood for decades. Through the design, implementation and programming of this small park we hope to gain insight into how to better address these difficult challenges through the development of the public realm. The park is scheduled for construction in the winter of 2019. All drawings were generated by 2018 Urban Action students; Ya Chen, Han Fu, Nandi Yang, TianjiaoYe, Ao Zhang, Cody Erhart, Qin Fang, Zhoufei Zhu, Eric Riley, and Zoe Axelrod. 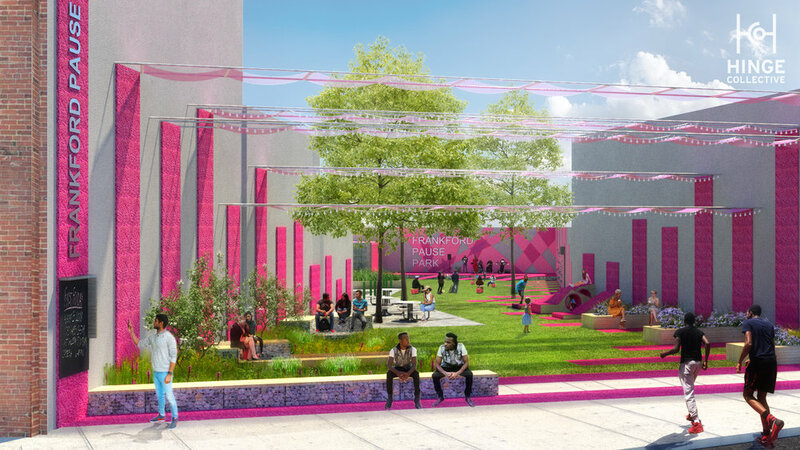 The National Street Service is an initiative funded by Gehl Architects and Greenfeild Labs that explores the value and potential of streets as public space. 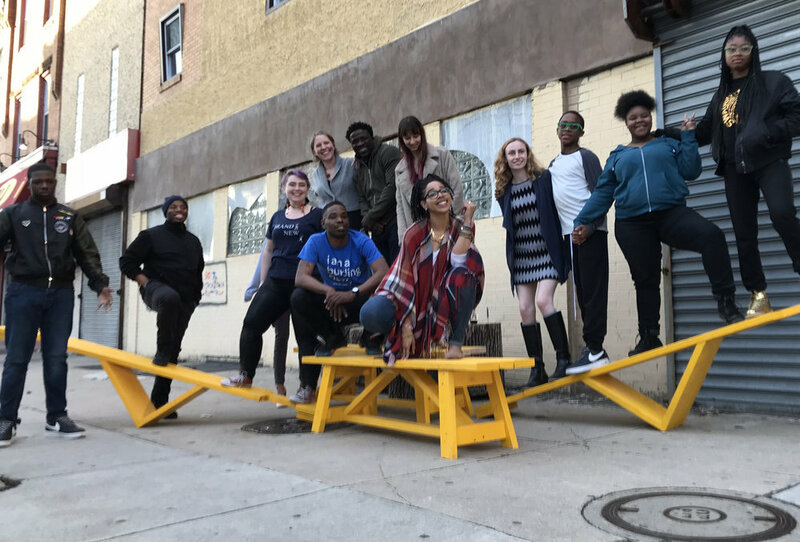 As “City Lead” for Philadelphia, Hinge Collective lead a group of 30 cohorts from all over the city in a 3 month program to conduct experiments in changing public perception of streets through tactical urbanism and unconventional community engagement techniques. 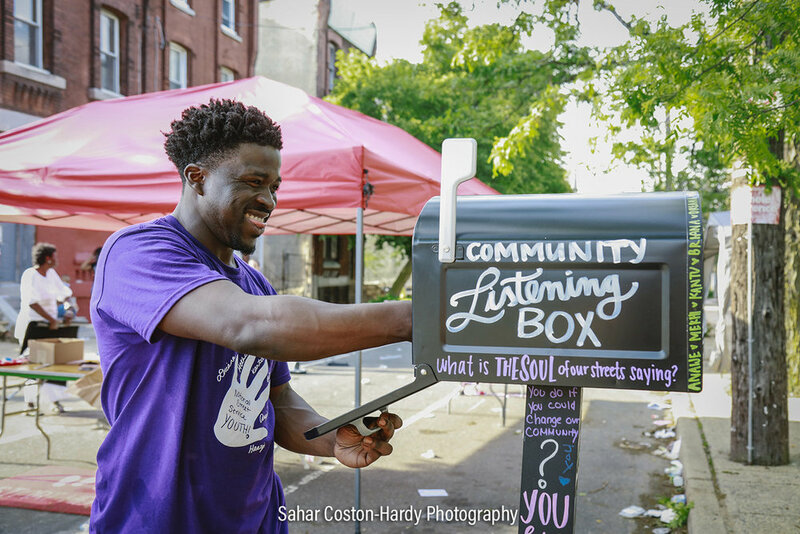 With a focus on community empowerment, Hinge Collective was able to connect citizens with services through a tri-block party event that spanned 3 neighborhoods and magnified the mission of The National Street Service. 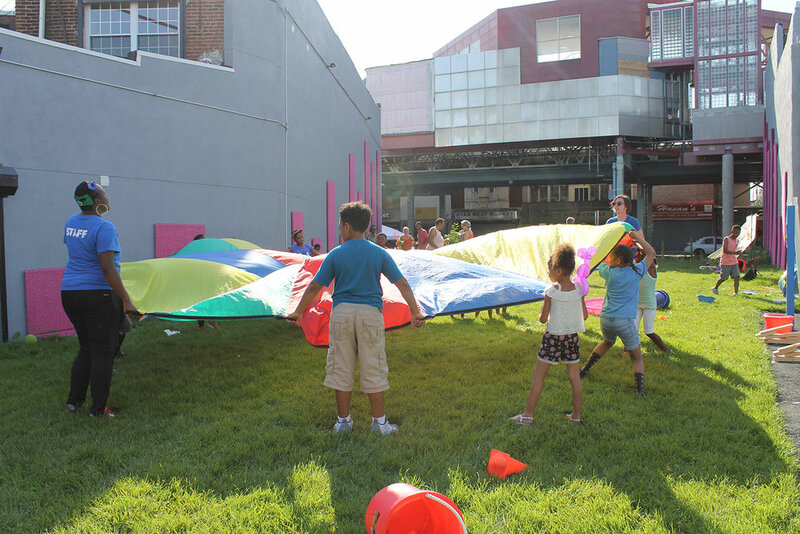 Play Space was a 2 year initiative that brought awareness to the critical role of play in childhood development, advocating for more thoughtful, imaginative, and informed play-centered environments. 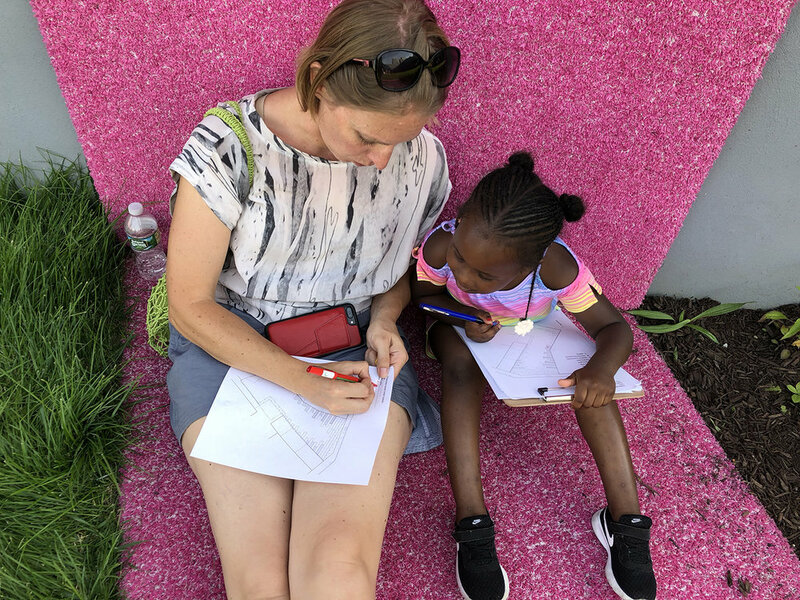 Through the facilitation of a series of programs, Play Space rallied designers, educators, academics, city officials, and other thought leaders around this issue in an unprecedented, coordinated effort that now influences the way Philadelphia invests in child-centered public space. As the Program Manager for the Community Design Collaborative, Hinge Founder, Alexa Bosse, developed and directed this initiative and facilitated the series of programs that included: an exhibition and discussion of 40 inspirational play-focused projects; a series of community build projects focused on the importance of physically active play and childhood health; a day-long charrette focused on developing replicable, nature-based, play environments for in-home childcare facilities; an international design competition with 40 entries from 6 countries, to design innovative outdoor play spaces for a Philadelphia library, recreation center, and school yard; a series of 7 lecture and panel events centered around the various benefits of play and models for improving the quality of play spaces for children worldwide; a final exhibition held at Philadelphia City hall showcasing the results of the initiative and soliciting support. Play Space rallied designers, educators, academics, city officials, and other thought leaders around this issue in an unprecedented, coordinated effort that now is directly influencing the way Philadelphia invests in child-centered public space through it's 500 Million dollar Rebuild program. 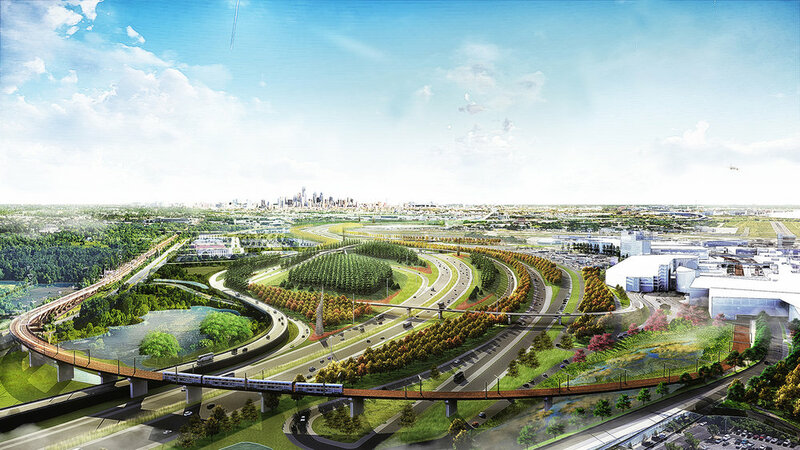 Hinge Collective operated as project manager and facilitator for a collaboration between the Philadelphia International Airport and Pennsylvania Horticultural Society on an international design competition to create a new and iconic Airport landscape. Building project capacity through a diverse advisory council including community members and stakeholders, Hinge formulated strategic partnerships to bring disparate groups together for a common goal. By developing an RFP and a comprehensive competition design brief, we received 26 design team responses and selected 4 finalists teams to compete in the competition. A winner will be announced in the summer of 2018. Lovett Library in the Mt. Airy Neighborhood of Philadelphia has long been a community hub, but the extensive grounds had largely been overlooked and underused. Working in partnership with The Community Design Collaborative, Hinge Collective developed a vision for this space that captured the attention of civic leaders and has made it the focus larger planning initiatives, including Reimagining Civic Commons which has identified this site as one of 5 model projects to “unlock the latent value in key Philadelphia Neighborhoods”. 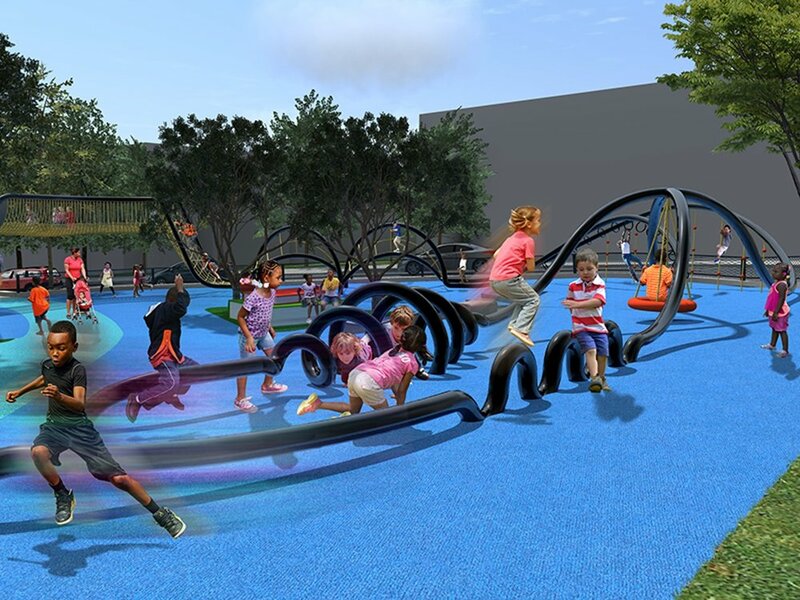 Lovett Library Park was developed through a community engagement process that identified critical needs for nature based play environments, event space and outdoor venues for community gatherings of all kinds. 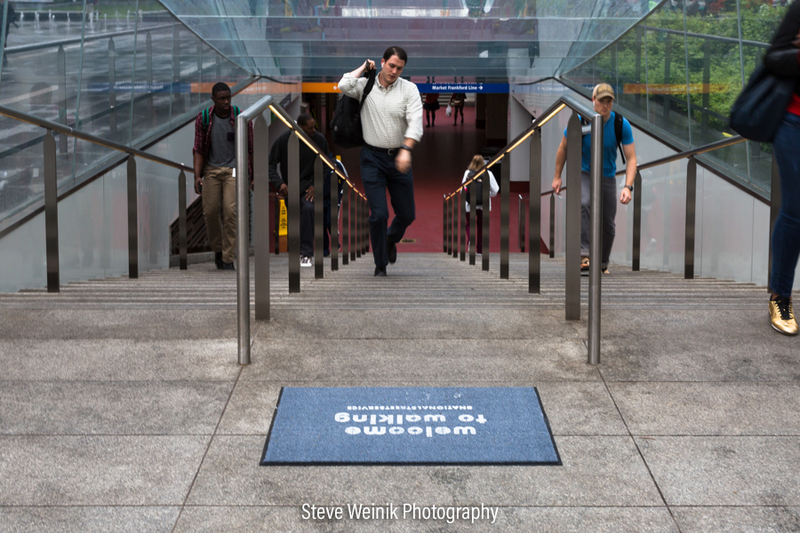 This international design competition was conceived as a catalyst to generate innovative ideas to serve as prototypes for green stormwater infrastructure in Philadelphia and cities worldwide. The Meeting Green entry acknowledges that dense complex neighborhoods make up a majority of Philadelphia’s impervious surface and that solutions must be provided if the city is going to meet the EPA goals for reduced CSOs. The proposal outlines a strategic approach to investment in gathering nodes and active corridors to maximize social benefit and leverage public and private funds. 42% of the impervious area of Queen Village is greened in this proposal as a case study for rethinking how we can shape public space in dense residential areas through a restoration of natural systems. case study for rethinking how we can shape public space in dense residential areas through a restoration of natural systems. This competition entry was managed and directed by Ari Miller while at OLIN.